DUAL LIGHT | Pro Chem, Inc. This rugged DUAL LIGHT uses a CREE LED rated at 130 lumens with a high-efficiency deep parabolic reflector. 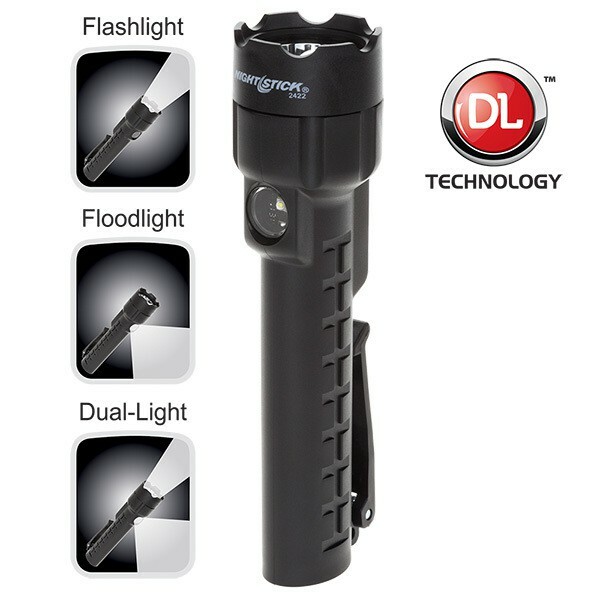 It can be used as a flashlight or a floodlight, depending on what your needs are. 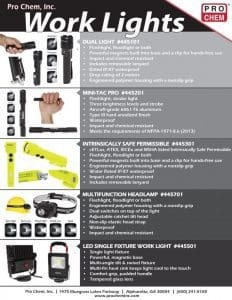 The flashlight is activated by the top body switch and provides momentary or constant-on function while the floodlight is operated by the bottom button. It has multiple hands-free options since it has two built-in magnets and also comes with a lanyard. It contains a pocket/belt clip to free up your hands even more.